What can you learn from your DNA? Visually created this colorful interactive site for 23andMe, a DNA mapping service that provides reports on ancestry, family history and helps connect DNA relatives. 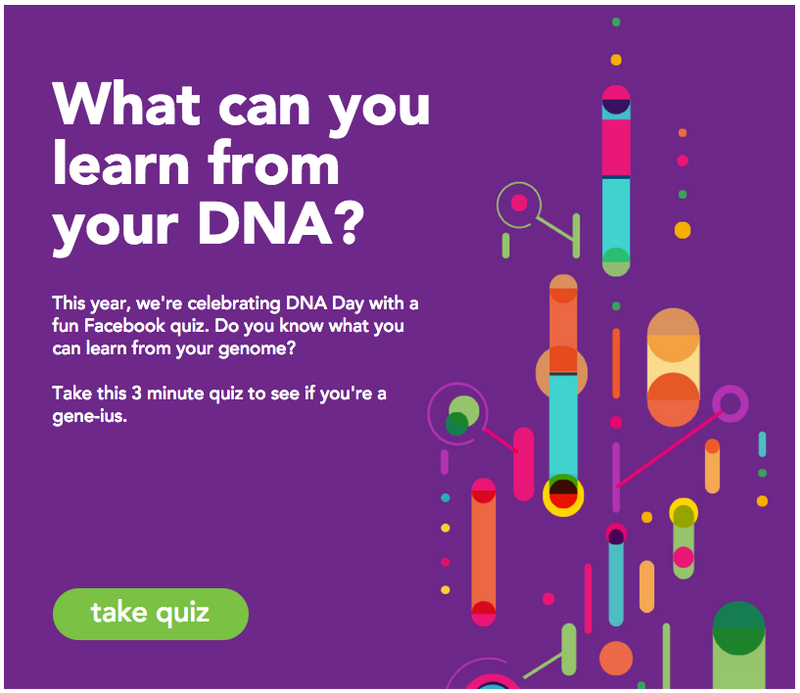 Take the quick quiz to see what you can learn about your genetics. Click the image or check it out here on the 23andme blog.